“As a publicly funded scientist, I have an obligation to share what I learn. 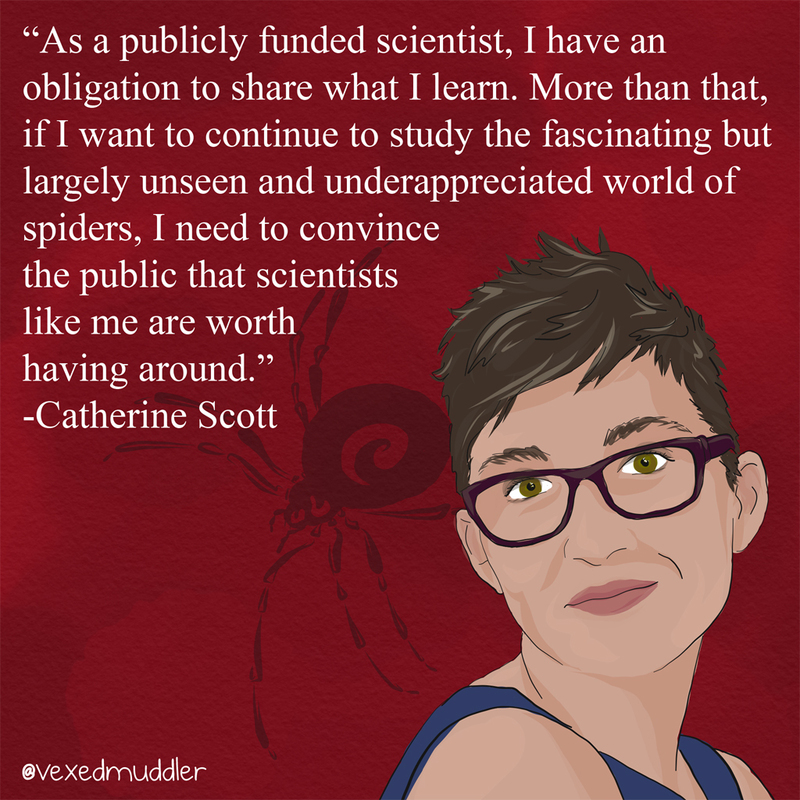 More than that, if I want to continue to study the fascinating but largely unseen and underappreciated world of spiders, I need to convince the public that scientists like me are worth having around.” – Catherine Scott, ecologist and spider advocate. Originally posted on October 2, 2016.